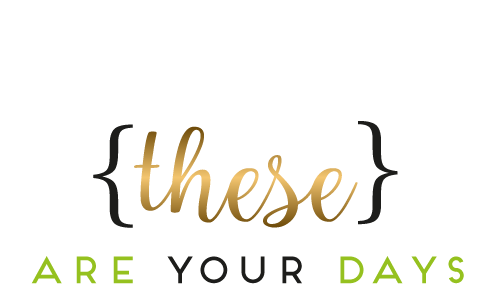 I love love love my oil diffuser and have been wanting to get my kids each their own also, but wasn’t sure which oil diffuser to get. It can be overwhelming, don’t you think? So many companies now make them and the prices range from $30-$100 or more. I knew I didn’t want to spend as much as I had on mine, so I did one of my trusty Amazon searches to see what I could find, and within about 10 minutes, I put the order in for the mini from VicTsing. What caught my eye and made me take the plunge on this one, you ask? Well first of all, it’s mini. My kids don’t have big bedside tables (okay, my daughter doesn’t even have one at all….yet) and I didn’t want anything that would take up too much room. I love the way it looks and yes, the colour light strip is especially appealing to me. And unlike my diffuser, this one has 3 settings of 1 hour, 3 hours, and continuous (5-8 hours). And it’s less than $30 PLUS free shipping over $35, which for me was an added bonus because I was ordering more than one anyway. That’s all fine and dandy, but how does it really hold up? Honestly, I love it and am tempted to buy a couple for other areas of the house because I love having the smell of natural oils around my home (I use them on my steam mop pad too) rather than candles or other similar products. I’m all about the oil diffuser and I’m all about this one from VicTsing. BEAUTIFUL & UNIQUE DESIGN. 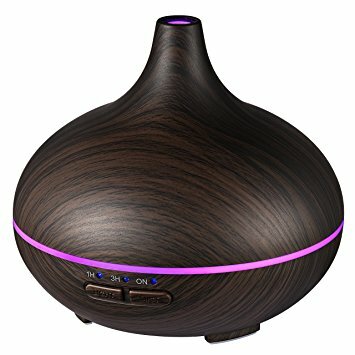 This essential oil diffuser with stylish wood grain finish matches any décor at your office or home perfectly, and a lovely unit with fragrance (if you add several drops of oils into it). 14 SMOOTHING & COLORFUL LED LIGHT. There are 7 colors mood light to suit various environments. Each color has two further brightness modes(dim and brighter) to choose from, so you will get 14 colors to meet your different needs. A PERFECT NIGHTLIGHT. This aroma diffuser has 15 lighting modes to create relaxing and romantic ambience. You can cycle it through 14 colors, set it to one fixed color or turn the light off. Put it in your child’s room and use it as a night light for a restful night’s sleep. SAFETY PROTECTION. Three timer options: 1h/3h/Continuous. It holds 150ml/5oz of water and lasts about 5-8 hours, which will auto-off when water runs out. No worrying about burning up. Made of BPA free material so there are no toxins. MORE BENEFITS. 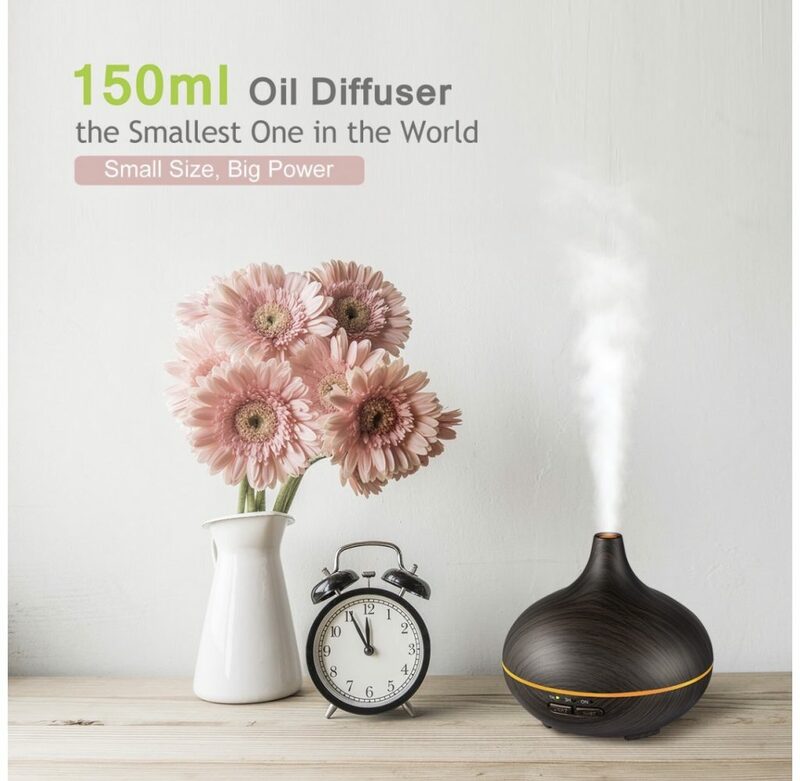 This ultrasonic diffuser can offer therapeutic effects if you add some special water-soluble oils, alleviating the symptom of congested sinus, nasal passages etc. It also can help remove smoky smells, animal odors and provide a fresh air. Backed by 45 days money-back and 12-month worry-free warranty.